1. All lubricating oil should be completely discharged when the mill is put into continuous operation for one month, thoroughly cleaned and replaced with new oil. In the future, the oil will be changed every 6 months in conjunction with the medium repair. 2. Check the lubrication of each lubrication point and the oil level at least every 4 hours. 3. When the mill is running, the temperature rise of the main bearing lubricant does not exceed 55 °C. 4. 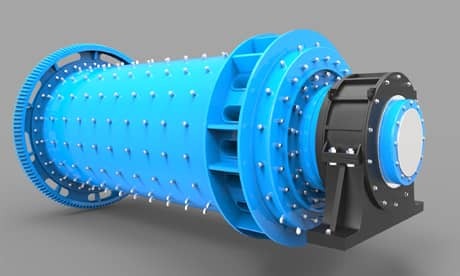 When the mill is in normal operation, the temperature rise of the transmission bearing and reducer does not exceed 55 °C, and the maximum does not exceed 60 °C. 5. The large and small gears are stable and there is no abnormal noise. If necessary, adjust the gap in time. 6. The rod mill runs smoothly without strong vibration. 7. The motor current should be free of abnormal fluctuations. 8. There is no looseness in each connecting fastener, no oil leakage, no leakage, and no leakage of powder on the joint surface. 9. The steel rod is added in time according to the wear. 10. If abnormal conditions are found, stop the repair immediately. The maintenance of the mill is a regular work, and the quality of the repair work directly affects the operating rate and service life of the rod mill. In order to find defects in time to eliminate hidden dangers, in order to ensure the normal operation of the rod mill, in addition to daily maintenance, it is also necessary to stop grinding regularly, (recommended once a month) for important components such as hollow shaft, main bearing, cylinder, reducer, size The gears are carefully checked for detailed records. According to the defect situation, prioritize and arrange the intermediate repair and overhaul plan. 11. The mill liner should be replaced if it is worn 70% or has a crack of 70mm length. 12. Replace the liner bolt if it is damaged and the liner is loose. 13. Replace the main bearing when it is severely worn. 14. The tweezers should be replaced when they are worn out and cannot be repaired. 15. After the gear surface of the large gear is worn to a certain extent, it can be turned over to continue to use. 16. The pinion gear should be replaced if it is severely worn. 17. When the feeding and discharging spirals are worn, they should be repaired in time. If they are worn, they should be replaced when they cannot be welded. 18. Loose or damaged anchor bolts should be repaired in time.